Money, business, doping scandals and lack of epic and new champions: are we watching The Last Kilometer for cycling? L'Ultimo Chilometro is a film totally dedicated to a passion, an emotion, a sport: Cycling. With Davide Rebellin, Ignazio Moser, journalist Gianni Mura and Didi Senft, better known as El Diablo. L'Ultimo Chilometro is a portrait of cycling. 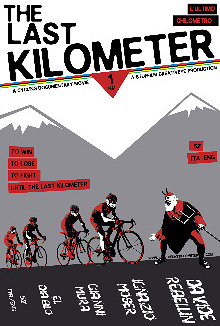 Includes THE LAST KILOMETER (english version+italian version) + awarded short film "El Diablo", featuring legendary cycling fan Didi Senft.